Bangalore India, here at KSCA Ground Alur, Bangalore, Pakistan won the toss and opted to bat first. 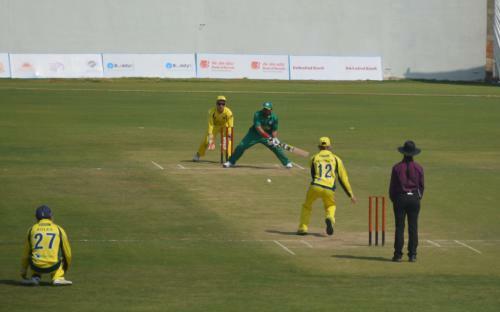 Pakistan set the total of 321 runs on the board for the loss of 3 wickets in stipulated 20 overs. 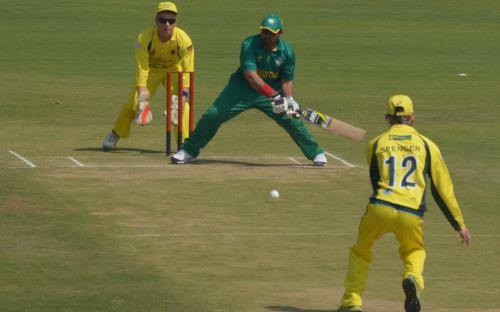 Pakistani opener Riasat Khan again shined with the bat, he made unbeaten 114 runs off 47 balls. Matiullah and Nisar Ali also chipped in with 80 and 78 runs respectively off 31 balls each. 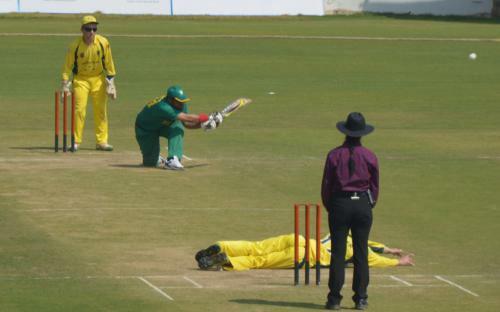 For Australia, Lindsay, Vaughan and Daniel claimed a wicket a piece. 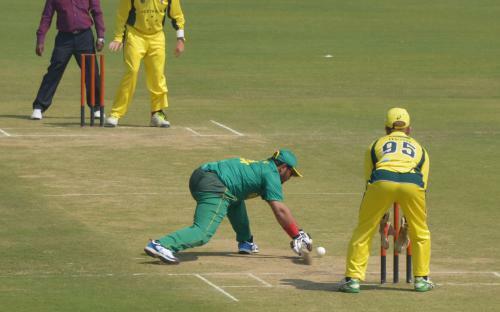 Australia in reply made 174 runs for the loss of 9 wickets in allotted 20 overs. 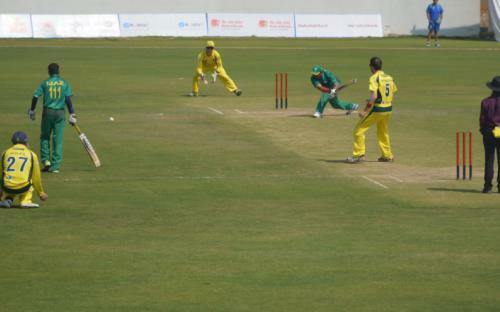 Matthew James was the highest scorer for Australia with 38 runs and Steffan made 21 runs. 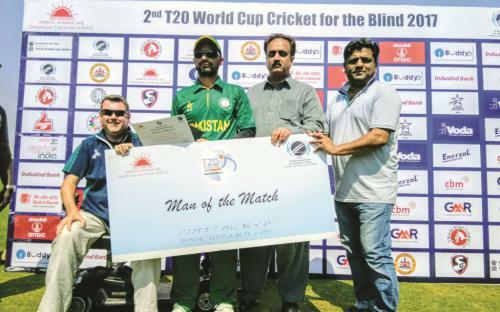 Muhammad Idrees Saleem was the star with the ball, he claimed 3 wickets. Whereas, Israr Hassan and Badar Munir claimed two wickets each. 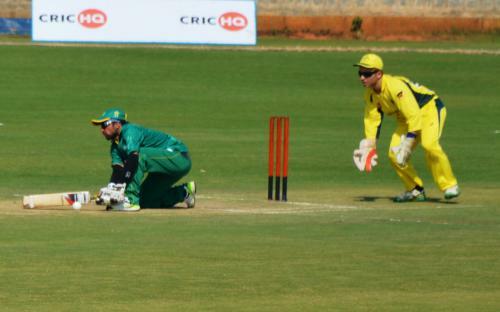 That was 9th consecutive win for Pakistan, remained unbeaten in all 9 league matches. Pakistan will take on England in the Semifinal on 11th February in Bangalore. While the India will play against Sri Lanka in the other Semifinal.